Zambia is a small African country in the center of the continent but Christmas and New Year come there too. Two Zambian students Chichi Paul and Eugene Chola told me about the way of celebrating these holidays in their country. – Is the New Year considered as a family holiday in Zambia? And what’s more important for you – Christmas or New Year? – Since the most population in Zambia is Christians we usually celebrate it from church, then return home and eat Christmas meals. Christmas is very important in Zambia as it brings families and friends together. Zambian people admit Christmas and New Year that came from the west because they help to gather families and friends together. It’s important that family traditions are much stronger in Africa than in Russia. For instance every Zambian man should have a son. Or there will not be an inheritor of his property, his house. The daughter should go to the husband’s family, she will become a housewife in his house and she needn’t the father’s property. – Do you have such tradition in Zambia – to decorate the Christmas tree? And what trees do you decorate? – Zambian people decorate fir-trees but it’s not really common. We don’t put Christmas trees in our houses, probably wealthy families do, they buy small artificial fir-trees. But the decorations are usually done at church. Euegene has never seen such a huge fir-tree before visiting Russia. Christmas fir-tree is rather expensive for the poor African country. According to the data of 2016 more than 83 % of people there are below the breadline. 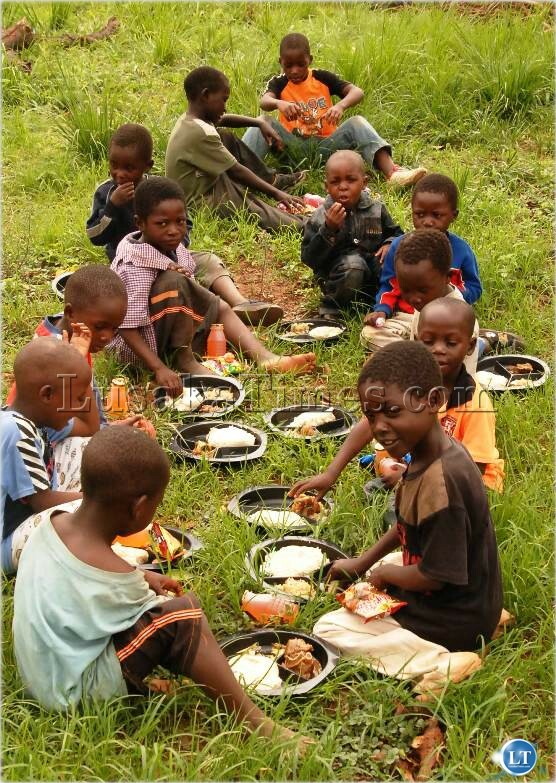 The main Christmas and New Year decorations in Zambian houses are the festive tables with tasty meals. – And what Christmas food traditions do you have? For instance the Russians like to buy tangerines and prepare the salad “olivie”. Also we drink champagne. And what about you? – Chicken is a common dish on Christmas or New Year, accompanied with rice, potatoes and a lot more. Rice is not a usual food in Zambia, maize is more common there. 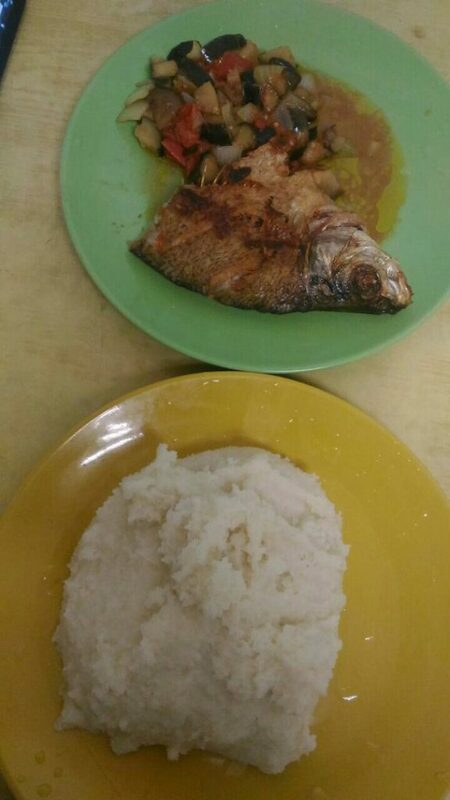 That’s why it’s considered as festive meal. – And what is the usual food in Zambia? – Our usual food is called nsima. This dish looks like Russian semolina porridge. But in Zambia we cook it with maize flour. This white stuff is the nsima. You can cook it from манка. – Do you have any Zambian Christmas drinks? – We like champagne too. Even people who don’t drink do drink on this day. Also we have Zambian alcohol – Kachasu. It’s maize or corn, sorghum, millet liquor which is found in Malawi, Zimbabwe too. We have similar traditions with these countries and even mutual languages. But Kachasu is very strong. You should be careful with it. – Yes, and people from all over the country buy fireworks and light them as they countdown towards the new year. 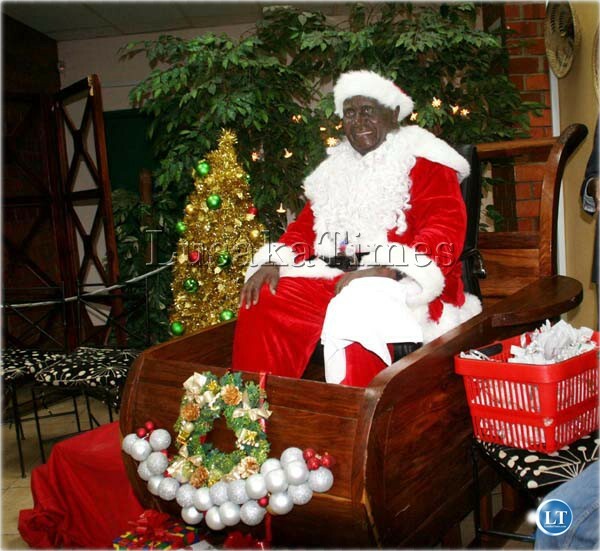 Zambia inherits Catholic Christmas traditions except the faith in Santa Claus. Their children don’t send the letters to Santa. And don’t find presents under the fir-tree or in the red socks in the morning. Everything is more prosaic, – the Zambian students tell me, – parents give their children the presents after the Christmas dinner, usually some useful things – such as dress or shoes. My interviewers couldn’t remember any present from their parents. But after all Chichi Paul mentioned the tee-shirt – it used to glow in the dark. 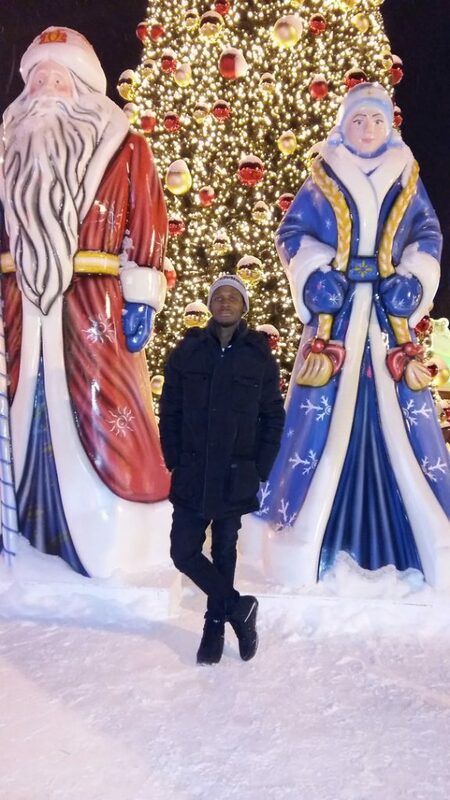 So, there is no snow in Zambia, their Christmas fir-trees are mostly in churches. Also Zambia is too hot for Santa. And nevertheless Russian school going children would be happy to turn into Zambian students during the winter holidays – they start at the beginning of December usually on 1st-4st till 10th January the following year. I think that Russian pupils even won’t mind to eat the rice porridge on New Year for such happiness.